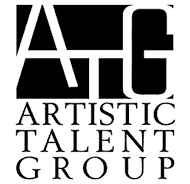 Why should I book through Artistic Talent Group? All Artistic Talent Group Artists excel in their craft. We are the only state-licensed Talent Agency that exclusively represents ARTISTS. You can rest assured that any Artist backed by the Artistic Talent Group will impress. We have extremely high standards for our Artists. Our Artists are PERFORMERS as well as skilled artisans. Remember: ART. It’s what we do. It’s ALL we do! How are the Artists paid? Do I need to provide anything for the Artists? Yes. Each Artist has a different list of set-up requirements. Some are self-contained and some need a wider area to perform. All set-up needs will be listed on the booking contract. Artists will arrive with all necessary materials and equipment needed for their performance. How far in advance to I need to Reserve an Artist? It is best to reserve an Artist at least 1 week in advance to ensure availability. Some art styles are more unique than others. The more unique the artwork, the fewer the Artists available. Some styles are done by 40+ Artists and some are unique offerings created by only one Artist. Yes. We are licensed and insured by the state for the protection of our clients. Our Talent Agency license is TA#780. There are many unlicensed “Talent Agents/Agencies” operating in Florida. Agencies must obtain a license from the Department of Business and Professional Regulation, Chapter 468, Part VII, Florida Statutes. Yes. For an additional fee, we allow our customers to “lock-in” a specific Artist for their events. When a customer locks-in an Artist, it is 100% guaranteed that the requested Artist will be at their event. If you are a first-time customer with us, our skilled agents will match you with the best Artist for your event. We know our Artists well and will pair you with the best fit for your event. Do you offer any items for the finished artwork? Yes. We offer several custom items for the completed artwork, such as Art Protectors, Bags, Frames, and Tubes. These items make it easy for your event guests to travel with their artwork. They also assist in protecting the artwork from accidental spills and damage. If you are interested in any of these items, please inquire when booking your Artist. Not all items are available for all events. How do I know the artist will show up? You will never have a “no show” when you book through ATG! We have an enormous roster of Artists who are trained in more than one art style. If an unforeseen problem occurs, such as a flat tire, illness, or emergency, then we send another Artist as a replacement. Can the Artist's paper be customized? Several Artists can customize/brand their paper with a logo. If you are interested in this upgrade option, contact our office for additional details. To see samples of Custom Paper designs, click here. Do the Artists take breaks? Yes. All performers must receive breaks to maintain top performance. Breaks will be outlined in the booking agreement and will vary depending on the type of Artist and the duration of the event. Do the Artists expect to be tipped? No. Our performers are happy to accept gratuities, but this is not expected. Do you have Artists that are not listed on your site? Yes. If you are looking for an Artist who you do not see listed on our site, contact us. The Artists listed on our site are entertainment/event Artists. We have a huge pool of Artists with a wide variety of skills. We can connect you with Cartoonists, Comic Book Artists, Muralists, Painters, Portrait Artists, and others.